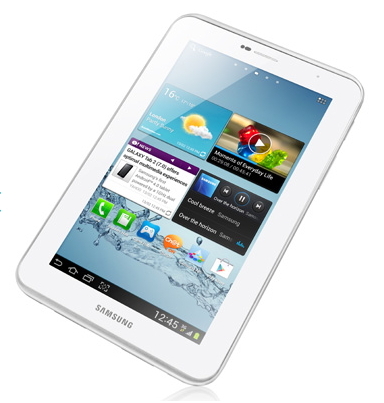 Samsung's new Galaxy Tab 2 3111now available for pre-order on the official Samsung e-store for Rs 13,900. Samsung will deliver the device on a first come first served basis and shipping starts first week of February. The Galaxy Tab 2 311 comes with 7-inch TFT LCD display with resolution of 1024 x 600 pixels. It equipped with 1GHz dual core processor and runs on latest version Android 4.1 (Jelly Bean) operating system. The tablet has 3 MP rear camera and having VGA camera at front for hangout. The Galaxy Tab 2 311 comes with 16 GB internal memory and expandable up to 32 GB with microSD card. It has 4,000mAh battery that gives decent playback time. It also comes with some unique features like Mobile tracker, Voice Recognition, Face Unlock and more.